Get expert Ramsey parking lot paving services when you call (201) 327-5258 today. We will send someone to offer a free estimate on our paving services, then provide you with the solution you need. Click here to find money-saving coupons and discounts. Parking lots are a part of modern life that most of us just take for granted and don’t pay any mind to, as long as they are in good general condition. We start to notice when potholes are damaging cars, large cracks are swallowing up shopping cart or baby stroller wheels or the lines are so faint that we have no idea where to park. Parking lot paving is an important service, especially when you consider there is a parking lot virtually everywhere you go. Find out what your neighbors thinks of our paving services when you click here. Why Do I Need My Parking Lot Paved? There may be several reasons that you need to have your parking lot paved. Obviously, a new construction requires paving just to make it drivable, and to ensure your visitors have a safe experience. If the existing lot has been damaged over time and the surface is no longer safe, a new paving job will bring it back to its original condition. A new paving job will also reverse the outward signs of damage and keep the safety level where it needs to be. If you have an existing parking lot that hasn’t been paved for more than a few years, it is likely showing the wear and tear of regular use and the outdoor elements. Cars being driven on a parking lot every single day will damage the surface, especially when you consider the fact that asphalt isn’t the most durable substance in the world. During the winter, snowplows scrape the surface and cause more damage. When you add the damage from the sun, wind, rain and snow, you have cracks, splits, holes and depressions that are begging for a new paving job. When you start your search for a paving contractor, don’t run around looking for the absolute cheapest price available. You should get a competitive price, but if it is your top priority, you may end up with poor results. Look for a company with local ties that have extensive experience and a great reputation in the community. 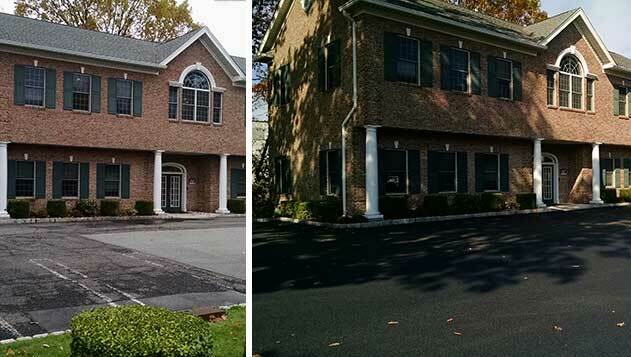 Call McFarlane Asphalt at (201) 327-5258 in Ramsey, NJ and the surrounding area if you have a commercial parking lot that requires expert paving services. It makes sense to get the job done right the first time, so give us a call and we can get the process started.